Throw a Star Wars party that is out of this world with this Star Wars Piñata. 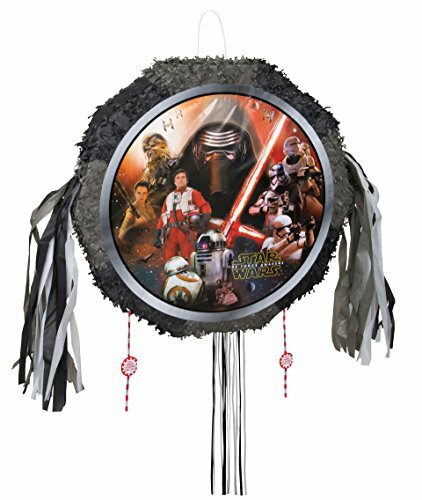 Featuring an action-packed image of characters from Star Wars: Episode VII The Force Awakens posing in a deep space background, this Star Wars Pull String Piñata is an ideal party accessory for any child’s birthday party. Fill this pop-out piñata with up to 2 pounds of candy and Star Wars party favors and have guests take turns pulling the strings until one releases the treats. Pinata ships flat and pops out for easy filling.